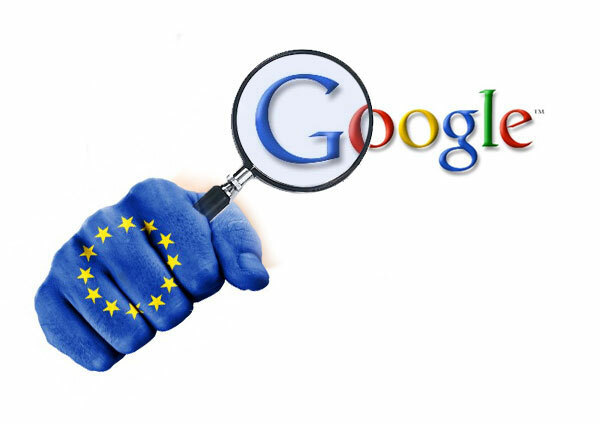 The search engine giant, Google, has been fined €2.4 billion ($2.7 billion, or £2.1 billion) by the European Commission for violating the EU antitrust rules. This is more than twice the expected amount of roughly €1.1 billion. It is also a record-breaking fine as the previous largest monopoly case which involved Intel in 2009 only fined them €1.06 billion (£932 million). The company is accused of using its large Internet presence and its search engine to manipulate search results for shopping. It is reported that Google is displaying its own results above links to competitors in search results. This means that other small players no longer have a fair chance to attract customers for the same products as the results are already biased towards Google. Apart from impacting the companies, it also affects the customers as they don’t get to see all the available products and choose one which is good based on quality, reviews and popularity. This means that Google is making itself the only supplier of a particular commodity or at least in the eyes of people who use the search engine, it seems they are the best even if they aren’t. All this is illegal under the EU antitrust rules. Google has been given 90 days to change their ways otherwise they will face penalty payments of up to 5% of the daily income of the parent company Alphabet. This is more damaging because it is money before Alphabet has deducted expenses. In 2016, the parent company’s revenues were $90 billion just to give you a picture of how much it would be. Google has responded by ‘respectfully’ disagreeing in a statement made by its general counsel Kent Walker. This ruling also opens up many doors for other companies to take legal action against Google and possible further investigations of Google’s businesses by the European Commission. This is not the first time that the European Commission has taken legal action against a Silicon Valley tech giant. Apple was hit with a record €13 billion (£11.3 billion) tax bill in 2016 after the Commission, led by commissioner Margrethe Vestager, concluded that Ireland granted undue tax benefits of up to €13 billion to Apple. This is also illegal under EU state aid rules, because it allowed Apple to pay substantially less tax than other businesses. It seems that the relationship between Europe and Silicon Valley will not be improving any time soon. Emerging Ideas Pitch Night: Don’t miss it! You, my friend, are absolutely clueless about what they’re talking about! This isn’t a capitalism/ free-market issue. Google does provide a valuable service but they are following the track of all large dominant companies. It is for the people’s elected government to keep them under control lest they dominate to the point of becoming an unelected government. The Europeans have a solid raft of regulations for both businesses and individuals so Europeans are well-covered. In Africa we still struggle especially with white monopoly capital which might provide jobs (a great thing) but determined to ensure the locals remain tethered to poverty (not a good thing). Does the AU have anything close to this EU regulation(s)? I wonder. I think that the bigger problem for Africa is recolonization by nations seeking expansion and resources. This is what originally brought colonists. Having freed itself from such, Africa is letting is happen all over again.